safe for consumers. 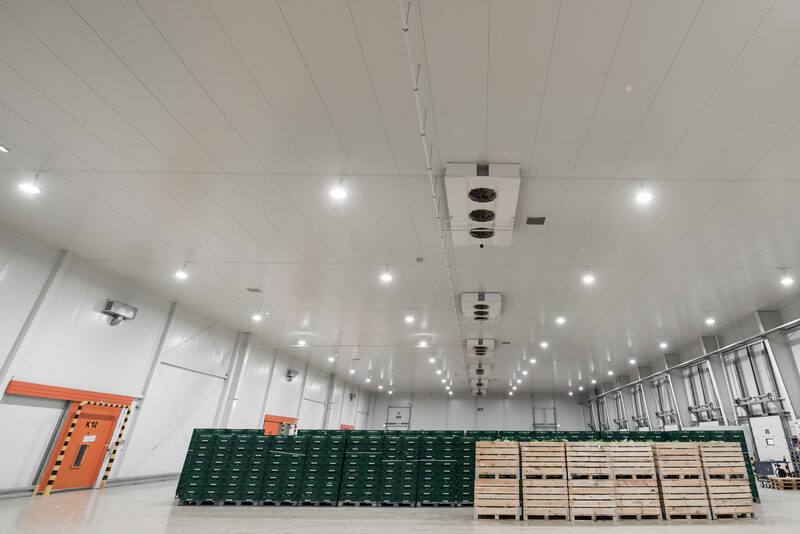 The cooling and storage facility in Prandocin occupies an area of 28,000m2 and is the most modern facility of its kind in Poland. A second facility in Niegardów has an area of 12,000m2. What did AMPLUS S.A. gain thanks to the lighting system upgrade? How to decrease costs and increase lighting intensity? Metal halogen lamps with a power of 250 W and 400 W were installed in the premises. As the specific nature of the business requires the entire area be lit 24 /7, power consumption was very high, generating immense costs. 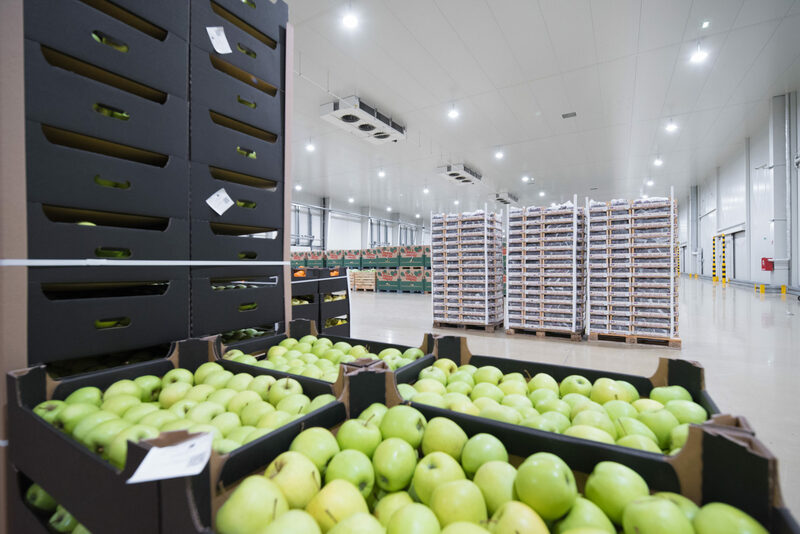 Even though the facility was constructed just three years earlier and was in excellent technical condition, the customer decided to upgrade the lighting system in order to make it more energy efficient. The solution proposed by Luxon’s experts made it possible to decrease the annual power consumption by 63%. 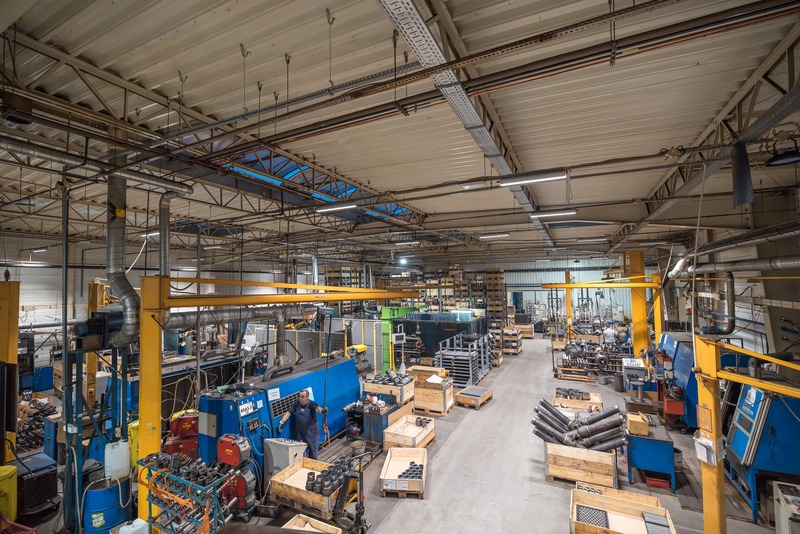 An important criterion for awarding the contract was its guarantee and reliability, since driving a truck inside to perform repairs would be a major impediment to the continuous operation of the plant. Ater numerous tests, we selected the optimum lighting for the Amplus – Highbay:LED. Wide (120°) distribution ensures that the light is emitted evenly, without blinding hot-spots, which significantly improves comfort and safety at work. In some places the illuminance was doubled, resulting in better visibility. In order to minimise the upgrade costs, the design was adapted to the existing systems, with one new lamp replacing an older one. LED lighting ensures perfect colour reproduction – the colours of the fruits and vegetables do not differ from the real ones. This is particularly important for the Quality Department, where meticulous inspection makes it possible to remove any defective products. 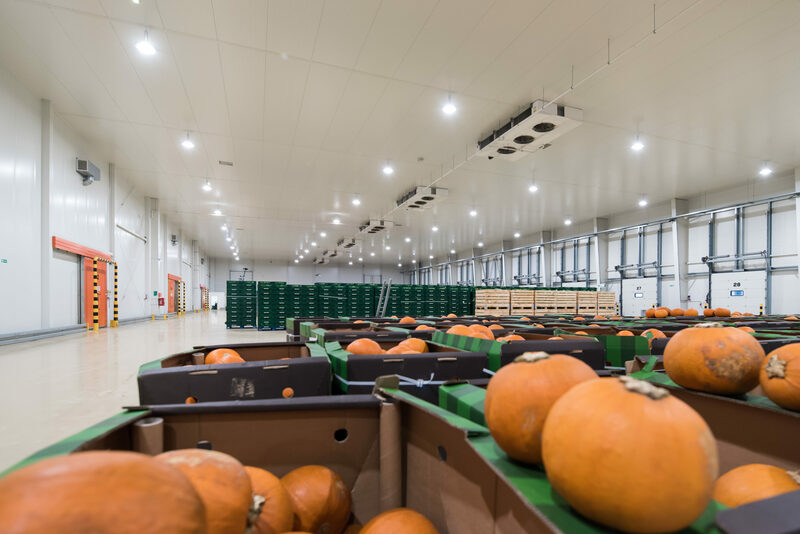 In view of the savings, the customer also decided to upgrade the other facility (in Niegardów) as well as the external lighting at both locations. The project is in progress. We prepared a comprehensive audit for the ERO, which resulted in a subsidy for power efficiency. We also made it possible to resell the old metal halogen lamps for parts. This spared the customer the disposal costs. 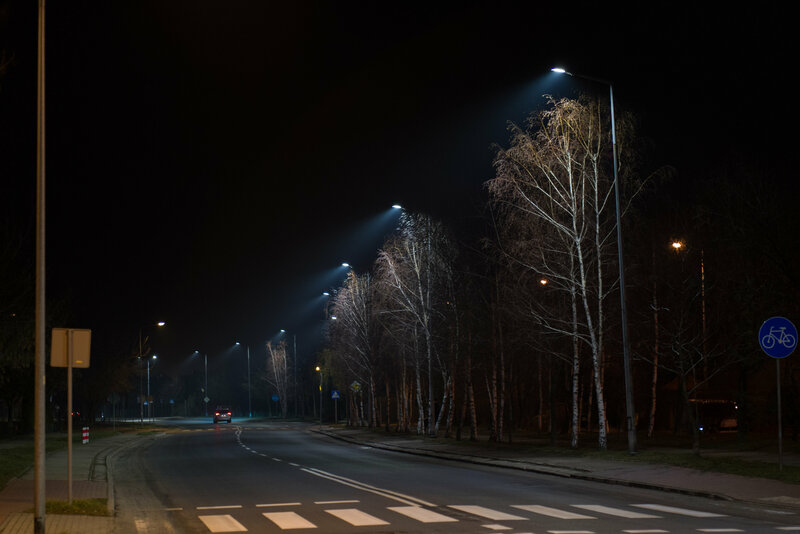 Installation of modern LED lamps translated into a 63% decrease in power consumption costs. Realistic colour reproduction had a positive impact on the work of the Quality Department, enabling quick detection of any damage, rotting or discolouration of the products. The wide distribution angle guaranteed precise and even illumination of any place, without glare. Very high resistance to water and dust (IP 65) makes the lamps suitable for use in rooms with increased humidity and easy to clean. The diffuser design, with a side aluminium radiator, complies with sanitary requirements, enabling the lamps to be self-cleaned by airflow. 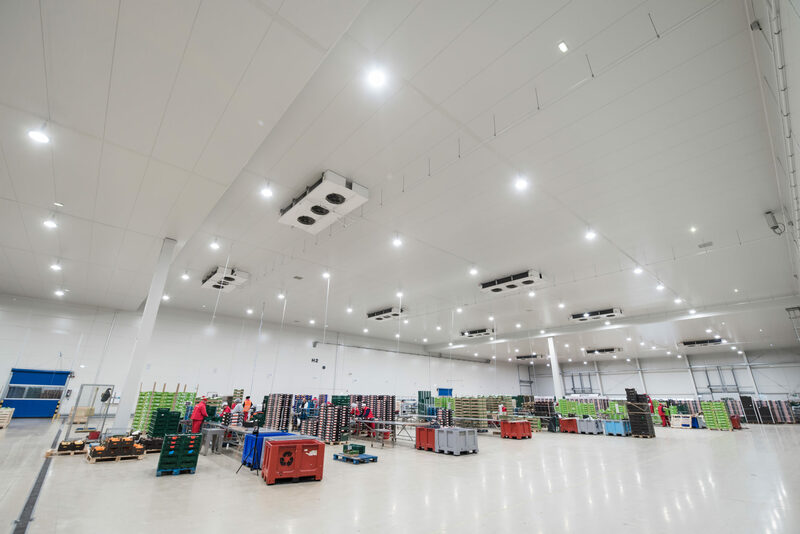 The main engineering challenge was to select a lamp for the customer to be installed in the current locations, to maintain even lighting, to illuminate the hall in compliance with the current standards, and to be energy efficient.